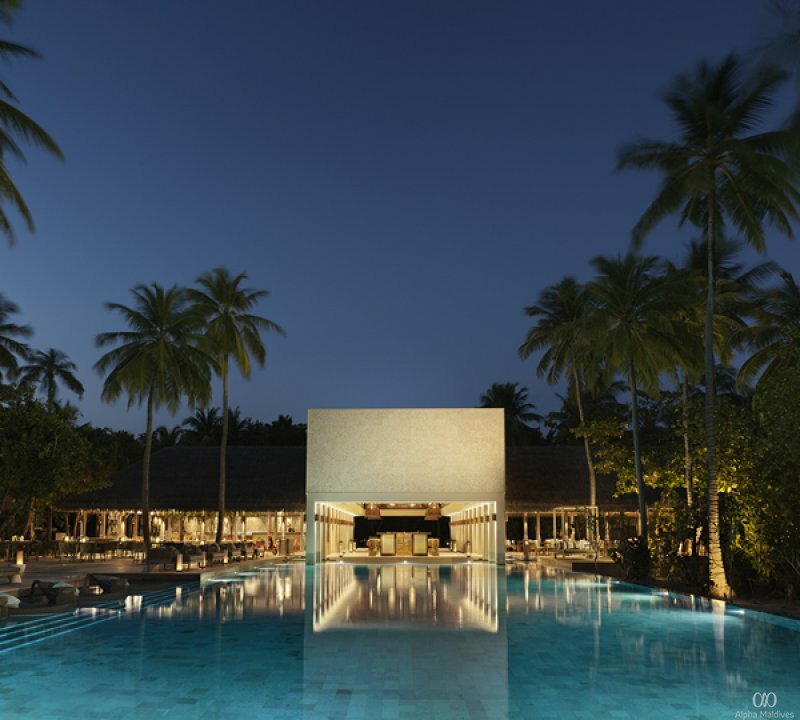 Located within Baa Atoll’s UNESCO Biosphere Reserve, Vakkaru Maldives is a 25-minute scenic seaplane ride away from Velana International Airport. Hosting some of the most diverse marine animals in the world, Baa Atoll is a wonder to behold. The island’s pristine white beach welcomes the weary feet and the gently lapping waves wash away the woes and throes of the busy life. Time is slow moving here at Vakkaru, where paradise meets elegance and unrivalled service. Guests can choose from an array of villas, bungalows and suites, some nestled in the sandy shore with a slice of private beach and the others overlooking the endless horizon, standing tall over the lagoon with direct access to the sea. 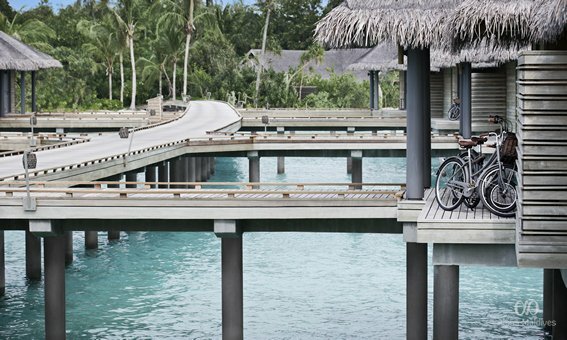 All 125 villas come with complimentary Wi-Fi, music, entertainment and sound system, an espresso machine and tea maker, an in-room safe, sunbeds and yoga mats, hairdryer, a gourmet mini-bar, beach bag and flip flops, bicycles, butler service and laundry service. The villas are designed keeping true to the earth tones and blue hues of the island, boasting elegant décor and tall glass panels to bask in the stunning panoramic ocean vistas. Enveloped in thick island greenery, Beach Bungalows come with a private beach and uninterrupted views of the turquoise waters ahead. The bungalow features a king size bed, indoor and outdoor shower, and a private beachfront terrace to laze in the mid-day sun. Ideal for couples, the Beach Bungalow makes for an idyllic romantic escapade. 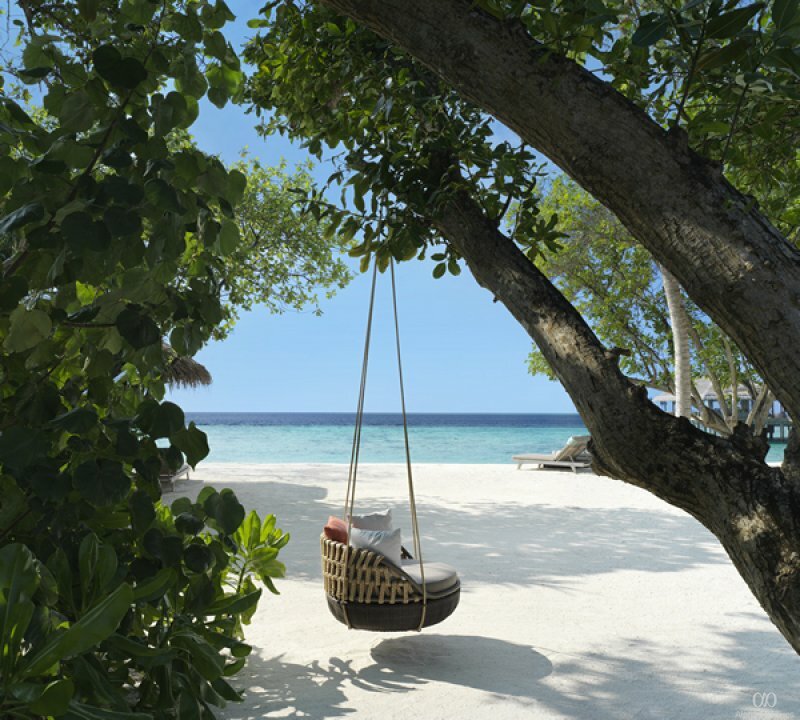 Scattered across the powdery white shore are the Beach Villas, perfect for a family of three. The villa comes with indoor and outdoor shower, a private beachfront terrace, a king size bed and a day bed for the little one, with a private stretch of pristine beach and direct ocean access. The ideal vacation home, the Beach Pool Suite comes with a separate living room, a bedroom, day beds for the little ones, and a king size bed. Perfect for a family of four, the suite is packed with modern amenities and fixtures, outdoor and indoor bathrooms, a butler’s pantry, a private pool and direct beach access, and mesmerising vistas of the azure lagoon in front, even from the comfort of your bed. 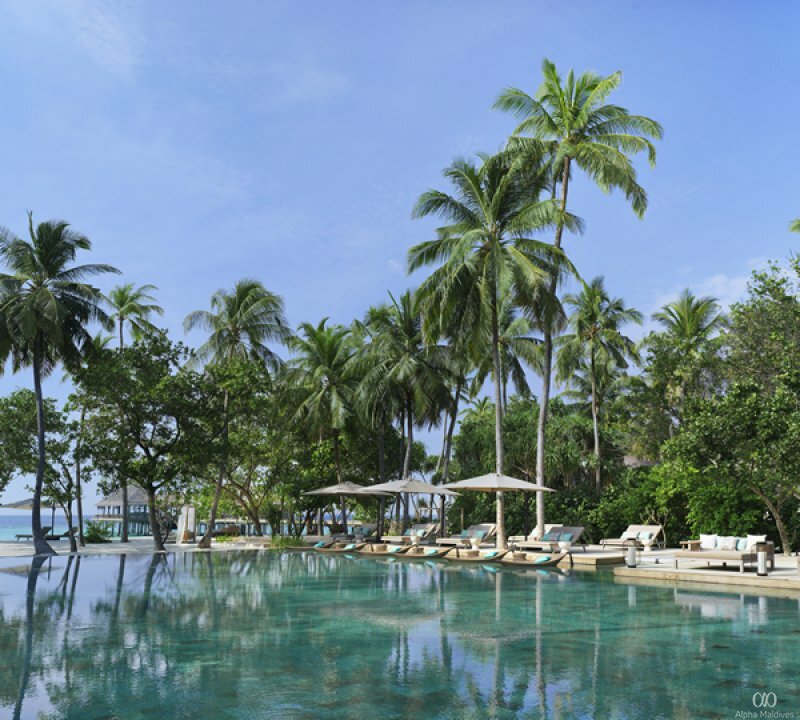 With all the sleek fixtures and luxury of the Beach Pool Suite, the Deluxe Beach Pool Suite comes with a private pool located amidst the thick island greenery within the garden behind for added privacy. Ideal for a family of four, the suite comes with day beds, a king size bed, indoor and outdoor showers, a butler’s pantry, a secluded beachfront terrace with undisturbed views of the ocean ahead, and direct beach access. Be it undisturbed privacy, romantic seclusion or family time to unwind and reconnect that you are seeking, the Two Bedroom Beach Villa makes the fit. 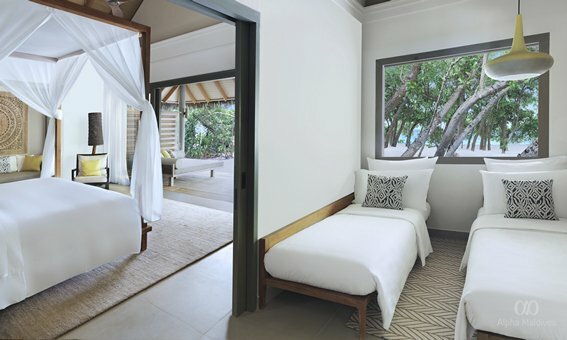 With two bedrooms, one king size and one twin with a connecting door, the villa offers indoor and outdoor shower, a private beachfront terrace, and more space for an additional day bed if required. Ideal for two couples or a family of 6, the villa is spacious, comes with modern amenities and makes for a memorable holiday home. Elegantly designed and sophisticated, the Over Water Villa is perched over the turquoise lagoon, overlooking the endless Indian Ocean horizon. Ideal for a couple, the villa comes with a king size bed, a private overwater sundeck to work on your tan, and indoor and outdoor shower. When the mid afternoon sun gets too hot, step outside and cool off with a dip in the lagoon, directly from your villa. 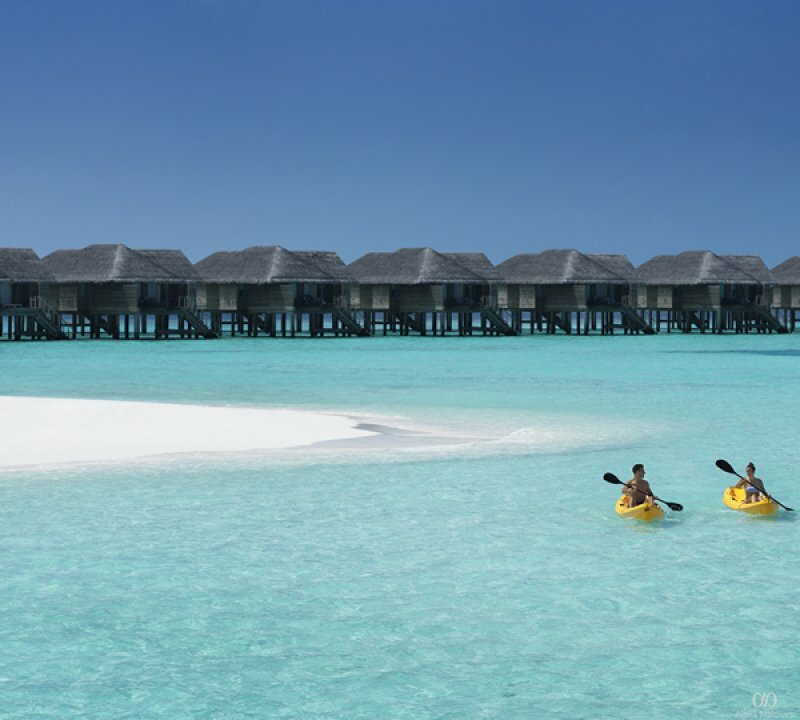 Ideal for a family of four, coupled with all the luxuries of the Over Water Villa, the Over Water Pool Suite too stands on stilts atop the lagoon and comes with a private pool overlooking the ocean. A separate living room, butler’s pantry, bedroom with a king size bed, and indoor and outdoor shower with additional day beds complete the interior, while outside, a private overwater terrace and sun loungers await. A sight to behold, the Four Bedroom Over Water Pool Residence is a two-story overwater sanctuary featuring a private infinity pool, a living room, two king size bedrooms and two twin bedrooms, additional day beds and is ideal for a party of eight. Uninterrupted vistas of the Indian Ocean horizon and mesmerising views of the setting sun complement the spacious and serene interiors. Step out into the private overwater terrace complete with sun loungers, direct ocean access and a private outdoor dining area. The residence also comes with a butler’s pantry, a maid’s room and a private spa terrace, modern amenities and plenty of nooks and crannies to laze the day away. Allowing undisturbed privacy and serenity for a family of Four, the Over Water Family Villa comes with a bedroom complete with a king size bed and separate sleeping areas for the little ones. 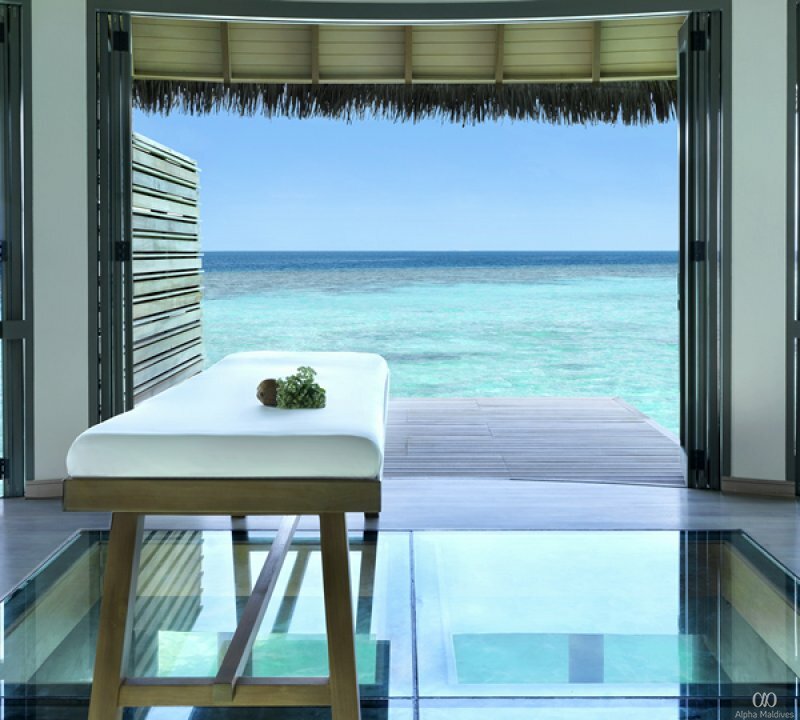 A private overwater sun deck, a beachfront terrace and direct access to the lagoon makes for a picturesque holiday home. At night, step outside with the family into the starry night and meet the resident marine neighbours that come by. With unique lagoon location our Ocean Villas are beautifully designed for two adults looking to appreciate the wonder of their blue water surroundings and 140 sq m.
Serving delectable cuisine from across the globe, the four restaurants and two bars serve fresh handpicked produce from the in-house farm, incorporating robust flavours from Asia to the Americas and Europe. 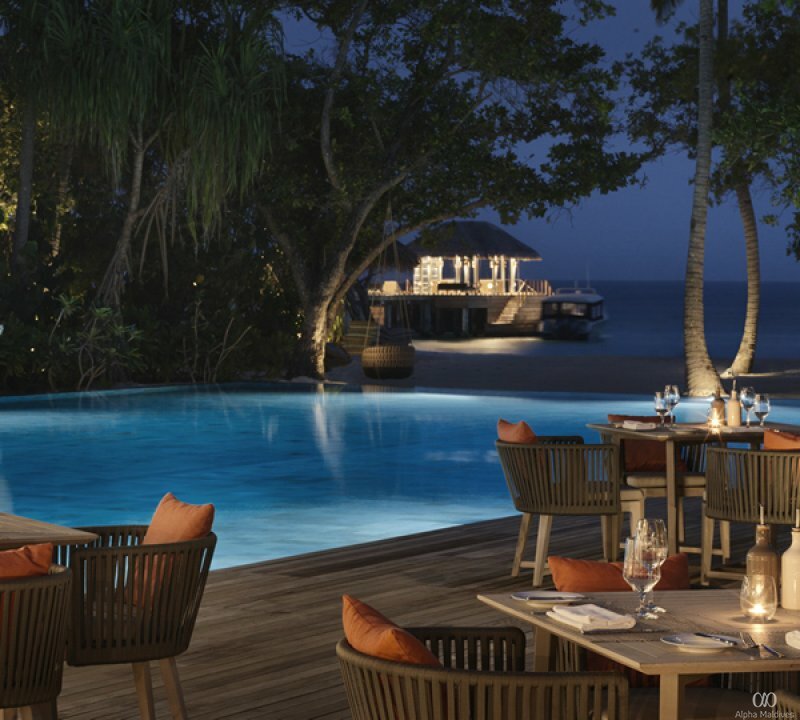 Complementing the flavour palate is the serene ambience, balmy evenings and authentic island inspired décor. 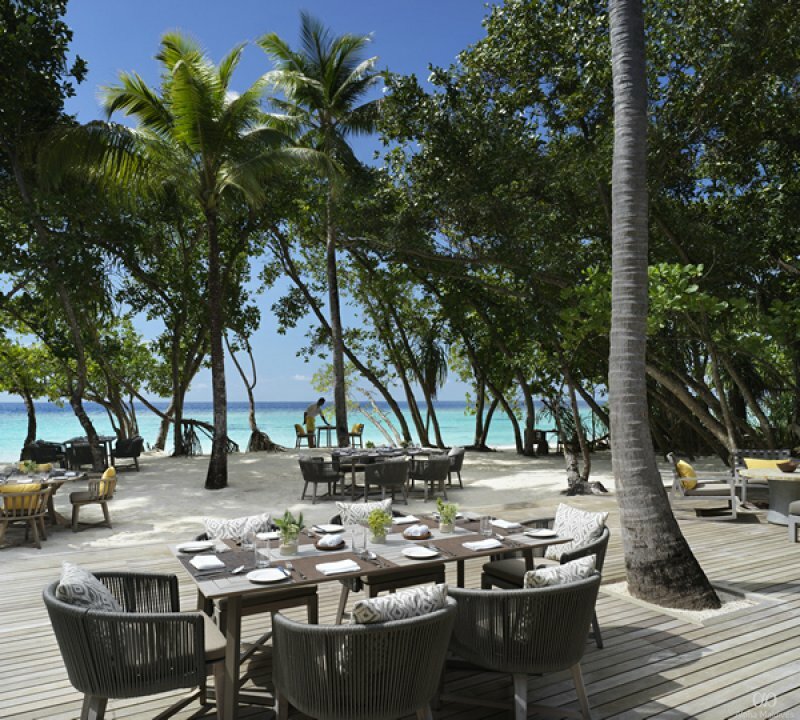 Mouthwatering continental cuisine served with an authentic Maldivian touch, Amaany is breezy and spacious, offering indoor and outdoor seating. The culinary heart of Vakkaru, Amaany serves breakfast and dinner. Presenting Italian flavours that packs a punch, gourmet lunches and dinners paired with fine wines, Isoletta is romantic, secluded and never fails to amaze. Step into Vakku for a truly magical night. Offering tender, succulent meats, freshly sourced seafood and a wine cellar with quite the collection to go along, Vakku makes for a tantalising culinary experience. Allow our sommeliers to guide you through the fine wine selection from around the world. Be it an evening of wine tasting or finding the perfect bottle to complement our gourmet dinner, the cellar has one for each occasion. The pungent aroma and tastes of Asia combined with the serene garden setting makes for an unforgettable dining experience. 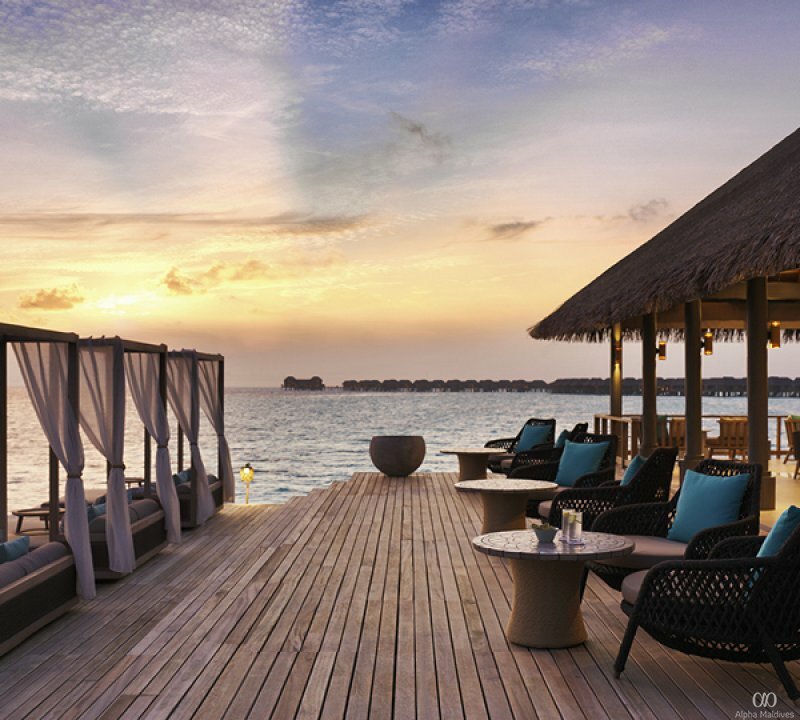 An adults only experience, Lagoon Bar sits amidst the lagoon and serves fresh cocktails, light bites and all time favourites to munch on as you soak in the scenery and unwind. The al fresco poolside lounge invites you to enjoy the music, have a drink or two, and to relax in the laid-back atmosphere as the day turns to night and the stars come out. Enjoy a private fine dining experience, be it at the comfort of your villa, under the starlit night sky, or a candlelit dinner by the beach. Romantic, secluded and sensual, let the flavours tantalise your tastebuds and leave you in awe. Featuring four couples treatment rooms, eight single treatment rooms, a nail salon, a spa boutique and a relaxation pavilion, the Merana Spa offers a holistic experience of rejuvenation and relaxation with their expert therapists and a selection of carefully curated treatments and massages. The island packs an adventurous experience for your inner Robinson Crusoe, be it an unforgettable underwater experience, learning the ways of Maldivian culture, cuisine and artisan handicraft at the nearby local island Thulhaadhoo, or a holistic experience at the spa. Vakkaru’s water sports center Splash offers motorised and non-motorised watersports from jet skiing, catamarans, kayaking, windsurfing and paddleboats and more. Venture deep into the ocean with our PADI dive instructors, whether you are a rookie or a seasoned diver. Snorkel around our house reef, go whale shark and manta ray spotting at Hanifaru Bay, a UNESCO Biosphere Reserve, enjoy a romantic dolphin cruise, or spend the evening enjoying big game fishing at sunset. For a truly mesmerising experience, let the resident marine biologist take you on an expedition, exploring ancient caves, overhangs, drop offs, coral gardens and do a meet and greet with the ocean’s multicoloured inhabitants. The kids club offers an array of activities to make the little ones feel like royalty on holiday. The indoor play and activity area piques their curiosity while the outdoor exploration space beckons the little explorer in them. From cookery classes and kids’ dining to a children’s pool, the activities are specially tailored by the in-house experts. 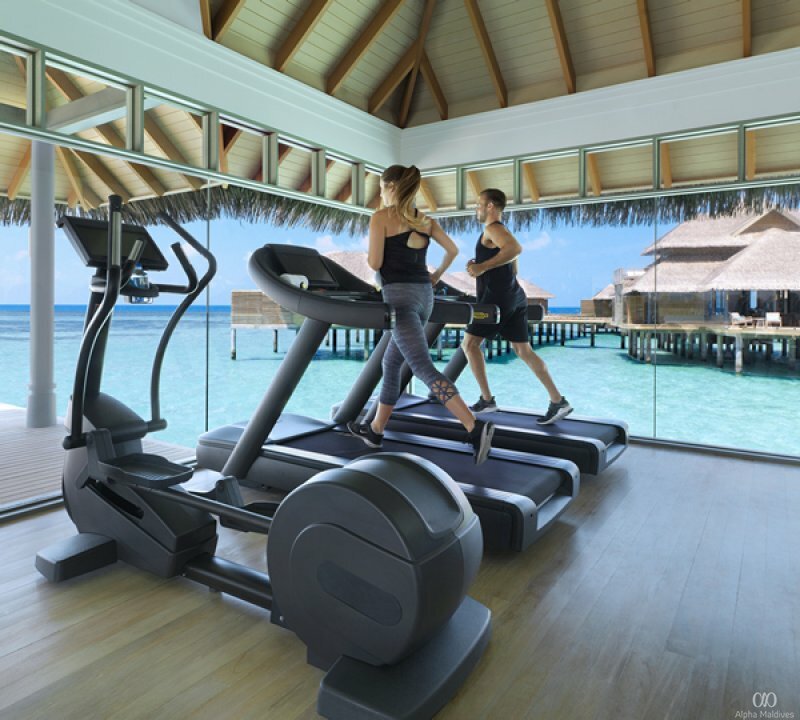 The overwater complex provides an added incentive for the fitness junkie to hit the gym; stunning panoramic views of the turquoise waters as you work on your physique. A hub to unwind and relax, the Coconut Club features two pool tables, two table tennis tables, two foosball tables, an array of board games, a lounge, a reading nook and tea and coffee makers. 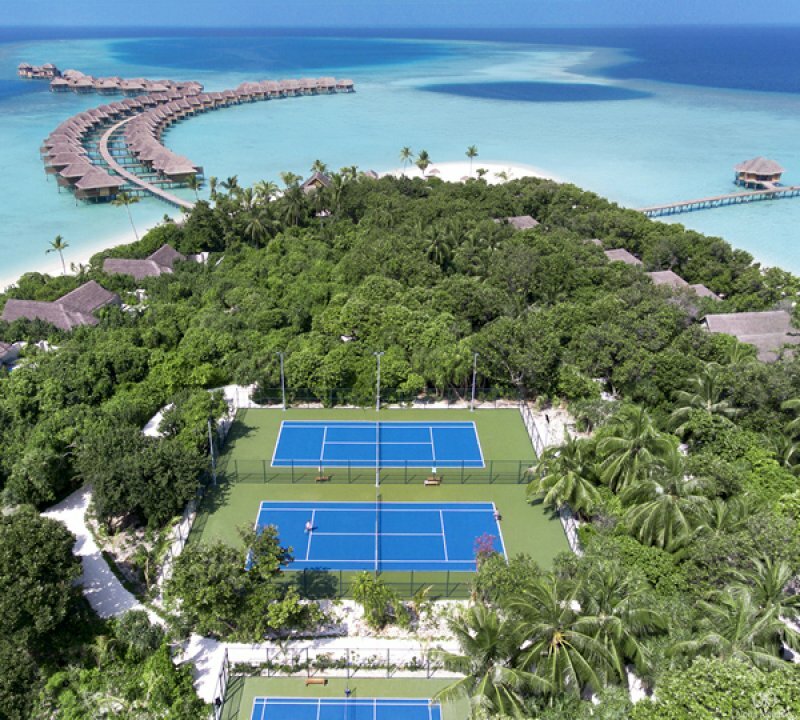 Enjoy a competitive game of tennis or badminton with the loved ones under the warm tropical sky or under the stars. Allow the in-house experts to take the helm as you sit back get ready for your big day. Be it weddings, vow renewals or special events, the specialists’ attention to detail and carefully curated selections coupled with the pristine beauty of the island makes for a truly memorable experience. We accept all major Credit/Debit cards.And we assure that your personal information remain safe. That’s why we use the latest, most secured technology available such as SSL and CloudFlare Security to protect all the information we receive on our website. 2016 © Alphamaldives. All rights reserved.